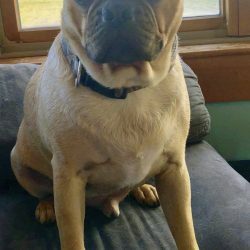 The 'ugly act' that claimed the life of a terrier-pug mix named Franky elicits an outpouring of support in a Down East town. 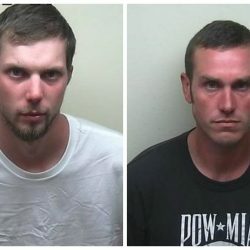 A Hancock County judge sets bail at $1,000 apiece for Nathan Burke and Justin Chipman, who are accused of stealing a Winter Harbor man's Hummer and his Boston terrier-pug mix named Franky. They are charged with aggravated animal cruelty in the case of a Boston terrier-pug mix stolen from its owner in Winter Harbor and later found dead.